Tree of 40 Fruit can bear over 40 different types of stone fruits, including peaches, nectarines, apricots and almonds. Syracuse University professor Sam Van Aken has carefully nurtured trees using an ancient technique called “chip grafting." Dozens of these trees have been planted around the U.S. 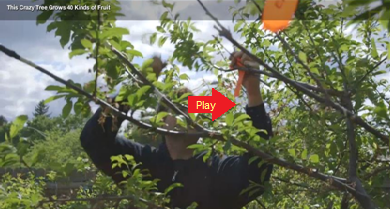 This tree may not be ideal for your place, but you can have great results with your fruit trees by following my Fruit Tree Program. Photo credit: Artist's rendering impression of The Tree of 40 Fruit. 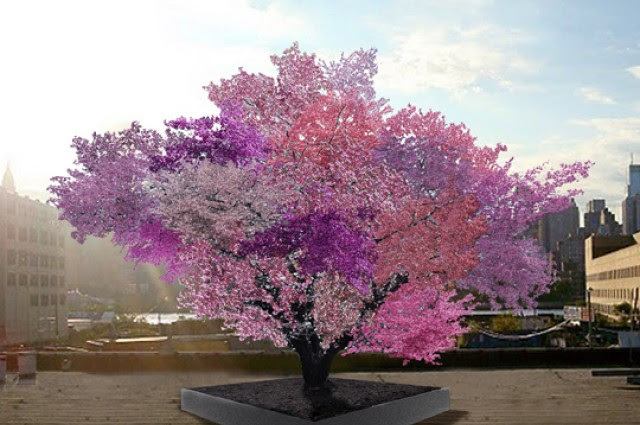 By springtime, the Tree of 40 Fruit sprouts pink and purple blossoms. In the summer, the tree begins to bear fruit of all kinds.